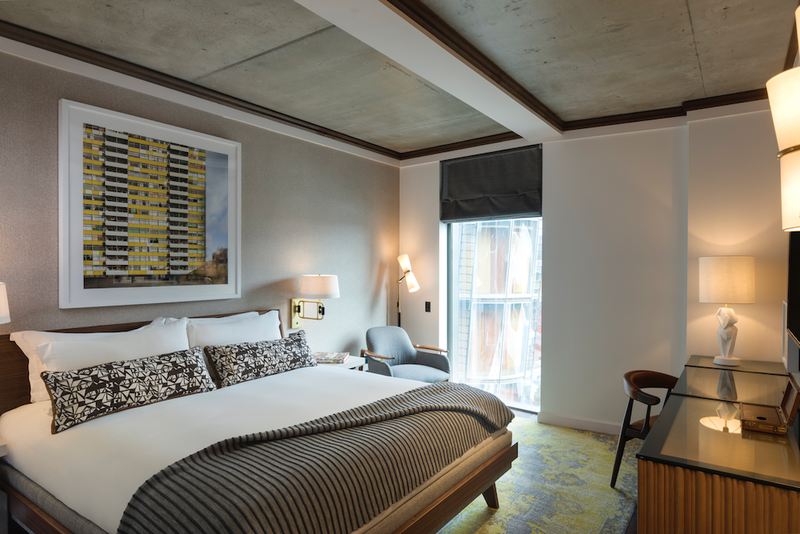 Just a stone’s throw from Tate Modern, British Film Institute and Borough Market, the 161-room hotel has airy interiors, a chic restaurant and bar, a lot of new commissioned work from emergent and established artists. 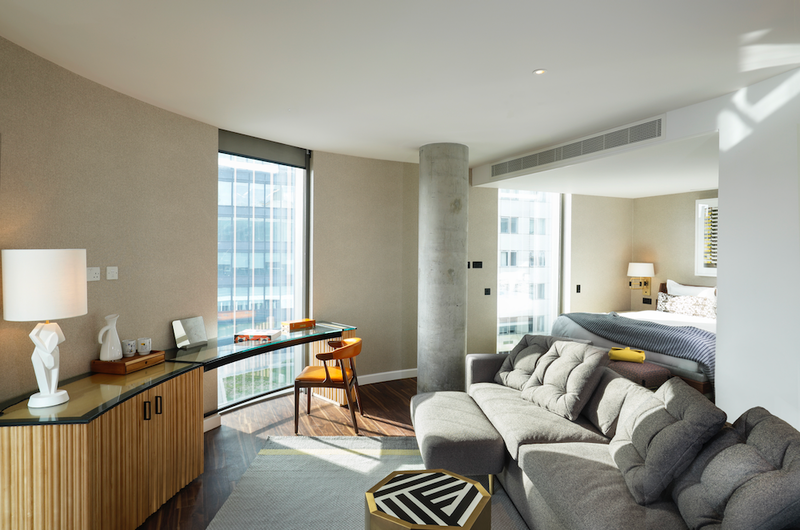 The glass building that houses Bankside is part of the One Blackfriars development from award-winning architect Ian Simpson. 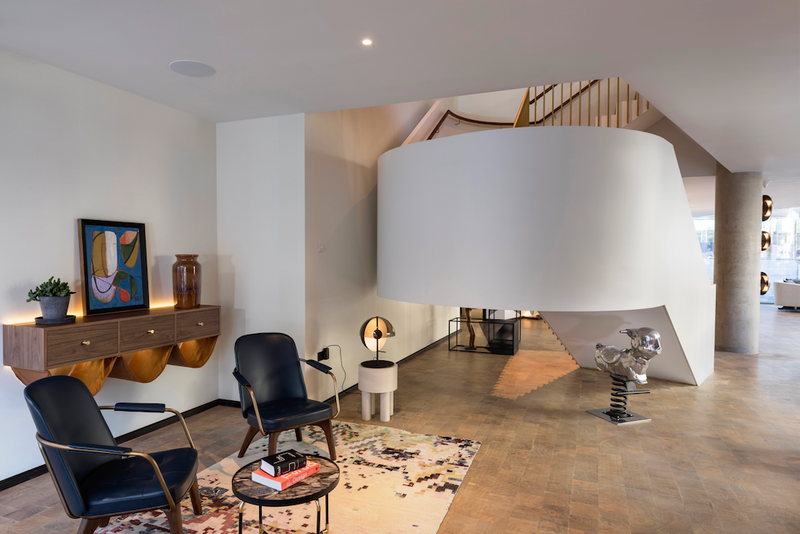 Its sleek exterior lines belie Lee’s more hand-hewn interiors. 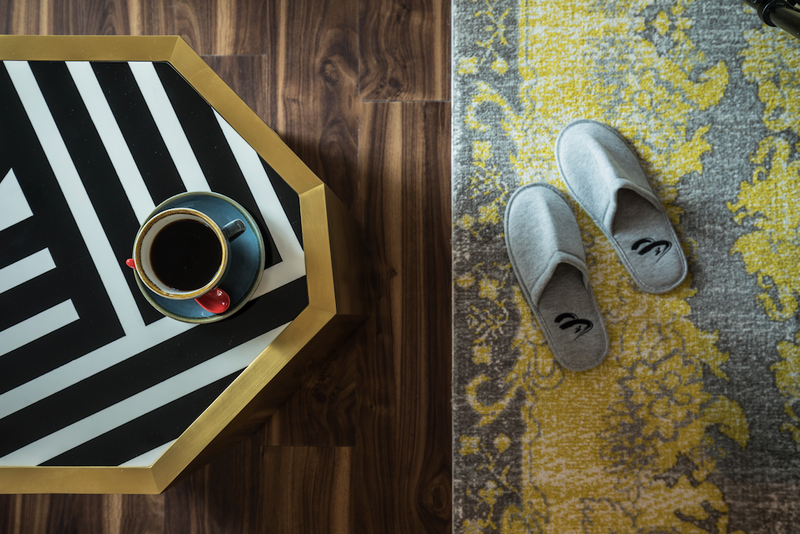 Throughout, textural surfaces are layered: honeycomb concrete, ribbed walnut, and tanned kid leathers, butcher block floors. Geometric Gio Ponti jigsaw tiles in black and blue flow from the floor to the bar, looming wooden room dividers separate spaces, pottery shelves are juxtaposed by stark-white vases, and curving sculptures and Cubist oil paintings are exhibited across teak cabinets. 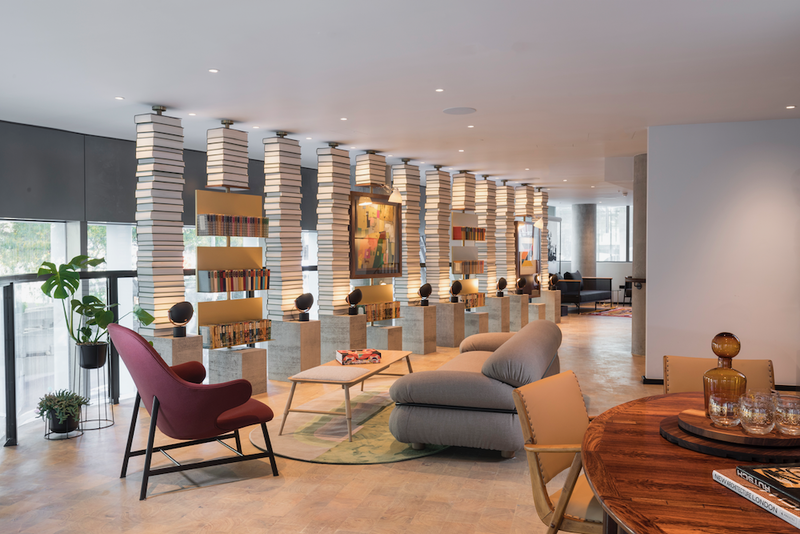 Dayna Lee of Los Angeles’ Powerstrip Studio is the design visionary behind this new six-story, luxury boutique hotel for creative working professionalsand has subtly embedded the historical ethos of its SE1 surroundings within the aesthetic. 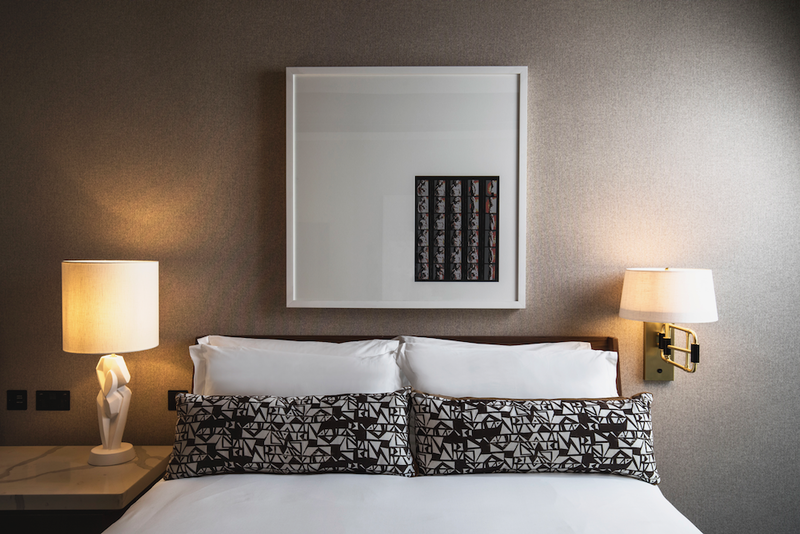 Commissioned works within the hotel include, Laura Carlin – Ceramicist and illustrator from London, Malgorzata Bany – London-based artist and designer, Timorous Beasties – Multi-award-winning studio from Glasgow and the Galvin Brothers – a family-owned business based in East Yorkshire. 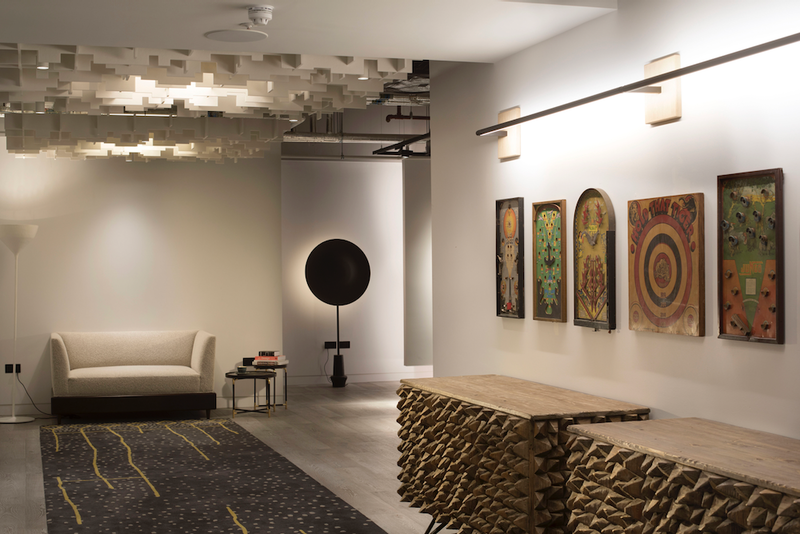 In the restaurant, Head Chef Lee Streeton, previously of 45 Jermyn Street and Brown’s Hotel, has developed a menu that will celebrate the abundance of British produce through the seasons, whilst also drawing inspiration from European cuisines and cultures. Signature dishes will include ‘Chargrilled Cuttlefish with Black Rice and Chorizo’, ‘Baked Bone Marrow with Curry Sauce’ and a ‘Cataplana of Monkfish, Shellfish, Saffron and Potato’ designed for two to share and cooked in the restaurant’s distinct wood-fire oven. 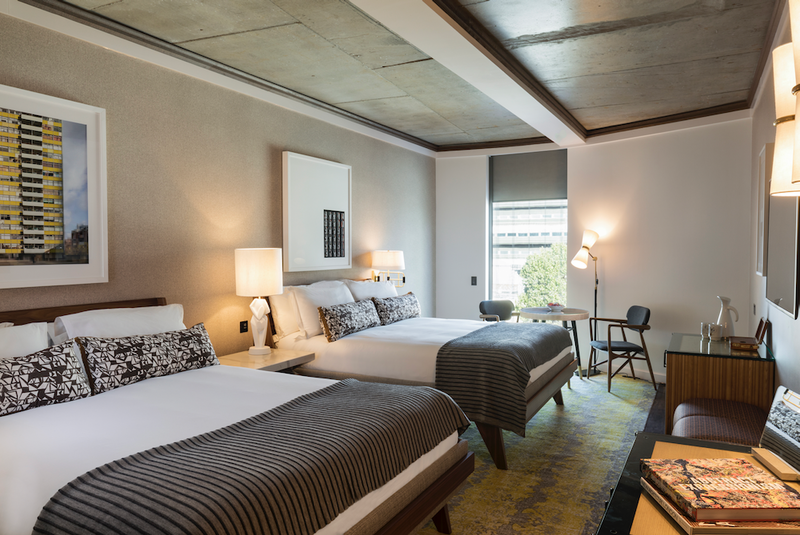 The menu will showcase produce sourced as locally as possible including honey from their own beehives and ingredients delivered direct from London’s many fresh markets. 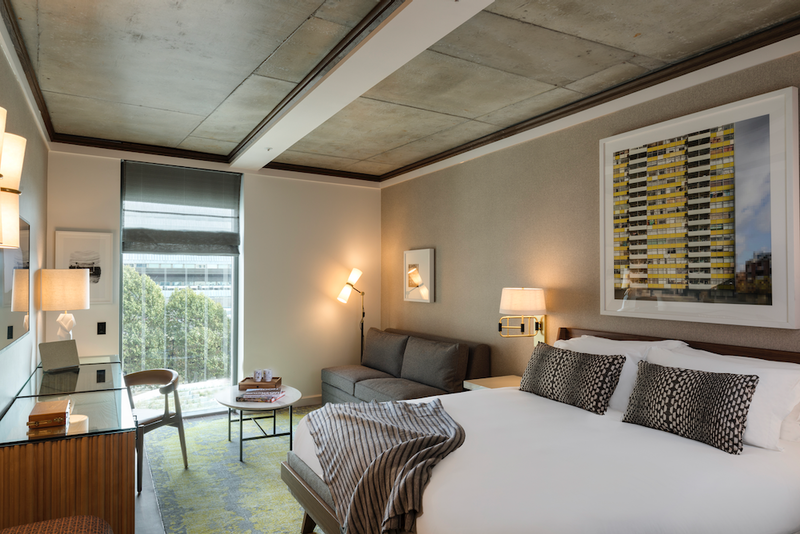 An enticing cocktail and drinks menu centred around reflection and rejuvenation will explore the people, places and produce from the Bankside tapestry, offering drinks for every time of day. Complex serves to be savoured such as ‘Honey Washed Negroni’ will sit alongside effervescent, excitable drinks that use innovative techniques, such as a Vagabond Urban Winery ‘Bicicletta’. Six on-draught taps will offer two beers from local Bermondsey brewery Fourpure, as well as on-tap cocktails – a ‘Nitro Cold Brew Martini’ and a ‘Seedlip Draught Cocktail’ – and two draught wines. Furthering Art Yard’s aim to champion neighbouring producers, the restaurant will have a regularly changing menu of bottled and canned beers from breweries along the Bermondsey beer mile. A concise wine list will showcase a mix of well-known appellations as well as wines from off the beaten track, and wines produced with organic and bio-dynamic farming, and some with minimal intervention winemaking. 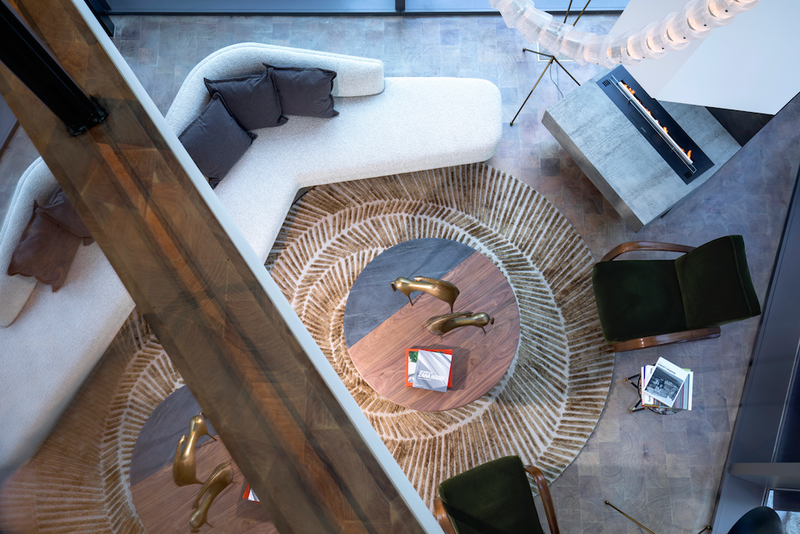 Bankside has been thoughtfully designed to deliver an airy-residential feel where lines are blurred between work and play, with social spaces providing inspirational gallery-style environments.